Support Pipeline Careers! 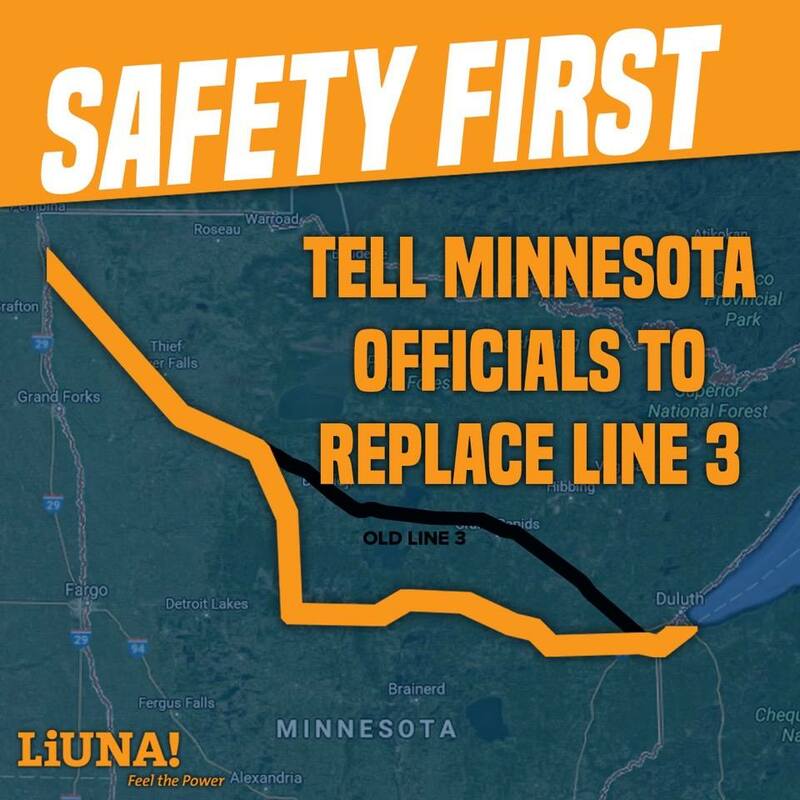 Attend a Line 3 meeting near you. Enbridge has proposed replacing its aging Line 3 pipeline in Northern Minnesota with a new pipeline. The project would create hundreds of jobs for LiUNA members in Minnesota. As part of the process, the the state of Minnesota has completed a Draft Environmental Impact Statement (DEIS). The Minnesota Department of Commerce is holding a series of public comment meetings along the possible routes and in Saint Paul so that the public can learn more about the project and submit comments if they choose to. Click here for a link to the other scheduled public meetings.